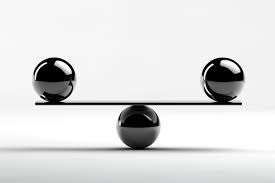 Thoughts from Brahma Kumaris: To have a balance between being a master and a child is to ensure success. Spiritual knowledge is given to us by God, who is the Ocean of Knowledge, and has the true knowledge of the soul, Himself as well as the history and geography of the world. This spiritual knowledge should be given to every human being in the world. That is what God’s pure desire is. But how will he fulfill His desire? It is through us that His knowledge will be given to each soul in the world, through our thoughts, words and actions. Have you ever dreamt of a world where every human being had the true spiritual knowledge of him or herself and thought, spoke and acted according to that? Such a world would be a beautiful place to live in and there would be no sorrow of either the mind or the body or your role and relationships. All the sorrow in the world is because of a lack of true spiritual knowledge in human minds. Giving knowledge to the world is God’s primary act, which He performs when He is present in the world to change it, when sorrow increases. But, He cannot perform this action without our help, because He needs human beings and the words they speak to reach out to billions of people all over the world. So, do you ever think that I should be one of those chosen ones who will become instrumental in helping God at this particular time or do you think this duty is to be fulfilled by others and not necessarily me? The world needs the friends of God, who are extremely close to Him and are taking spiritual knowledge from Him to take out time everyday to help God in His task and this is something that we need to do soon. World servers are God’s right hands who perform their daily actions related to their routine, play all their relationships of family and friendship, work hard for a living and succeed immensely and inspite of that give spiritual knowledge to each and everyone whom they meet and love. Loving someone means that I realize my duty of giving him or her the knowledge that I have and they start experiencing happiness because of the knowledge.